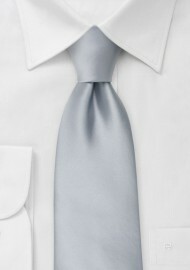 Formal silver necktie with elegant shine. This extra long necktie is 62" in length and a perfect fit for anyone taller than 6'3". 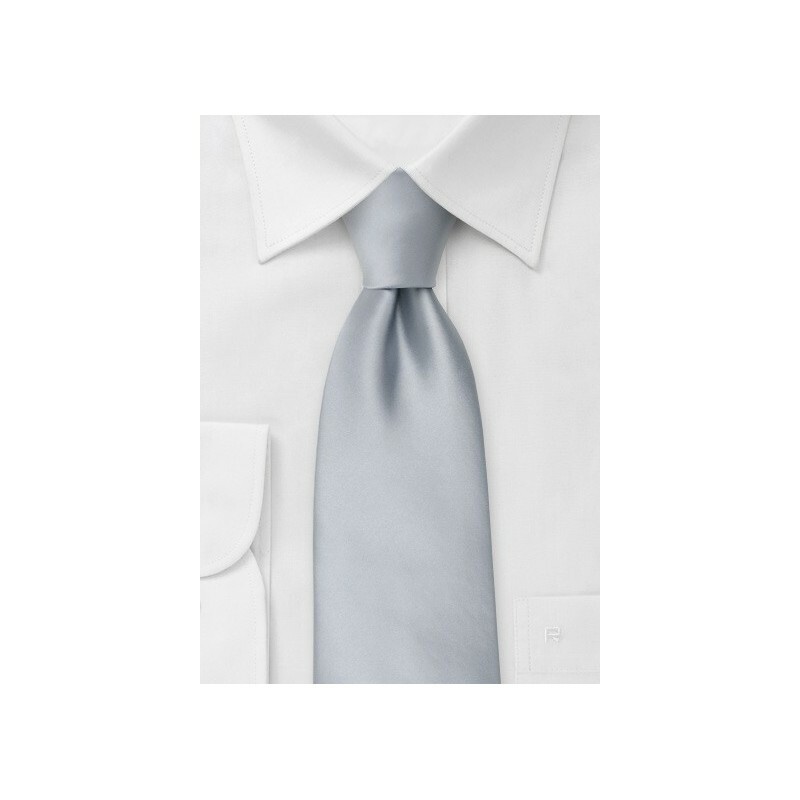 If you have problems tying regular length neckties, or prefer larger necktie knots, than this XL necktie is a perfect fit. Ties made from Microfiber have an excellent shine and silk-like feel, but are much less likely to wrinkle compared to silk ties.